Basement Health Association members receive more than the usual benefits than one expects from affiliation with a professional association—they get exclusive opportunities to save money and earn free goods and services. Participation is voluntary, but the rewards can be outstanding. Click Here to Join Now! BHA members now enjoy exceptional savings with the Angie’s List/BHA Partnership. 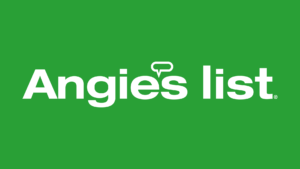 BHA Members receive 10% discount on all Angie’s List advertising! Any market, category or products your choice. Click the Angie’s List Logo for more information! HomeAdvisor, formerly Servi ce Magic, is the nation’s most powerful referral site for contractors. BHA members who enroll in the network receive on the standard enrollment fee and a 7% credit of all net leads that can be used to purchase additional leads. HomeAdvisor Benefit Program Presentation—Click here to learn more! 10% discount on all pricing plans for all BHA members. No setup fees. The world around us is changing faster than ever, and with it, so are the opportunities to grow your business. Don’t let mounds of paper and time-consuming processes keep you from securing important bids for your business. Foundation Accelerator enables you to leverage technology to improve the process you already use and improve your customer experience. On average, bids are created and closed within 24 hours! Secure more bids with our digital toolset! Leverage our technology to bring efficiency to your team. MarketSharp offers remodelers, contractors and home improvement pros a simple-to-use, web-based CRM (customer relationship management) solution. With MarketSharp, you will lower lead costs, increase closing ratios, and improve overall office efficiency for greater profit potential! MarketSharp is the leading industry-specific marketing and management software to get more leads, track every customer interaction, maximize sales opportunities, shorten production timelines, create satisfied referral-giving customers and have complete visibility into the profitability of your business! Plus… the secure, permission-based anywhere, anytime access makes it perfect for any mobile device to provide your staff with comprehensive customer/job information at their fingertips. The folks at BHA have negotiated spectacular 15% pricing discount on MarketSharp for the entire group including a waiver of the initial $500 “set-up” fee making it extremely easy to get started. To discover how to optimize your success with this powerful sales, marketing and management tool, visit http://www.marketsharp.com or call 800-335-4254 for a FREE Demo. Earn Highly Qualified Home Improvement Leads in Just 1 Week! The team at Rainmaker for Contractors has a combined 30+ years of experience in the home improvement industry. More importantly, they know how to leverage the power of the internet to generate high quality home improvement business leads. For a limited time, BHA Members will receive $300 OFF their first month of internet marketing services. Contact Bill Crawford today by calling (630) 929-7246 or emailing bill@rainmakerinternetmarketing.com. improveit 360 is the leading CRM and business management software built exclusively for residential remodelers, replacement or specialty contractors, and home pros. We also build custom solutions for home improvement franchisors and manufacturing companies. Our system and associated mobile apps help manage leads, marketing, sales, quoting, projects, appointments, call center functionality, and real-time reporting all from one centralized location. improveit 360 improves efficiency, reduces day-to-day chaos, and helps businesses grow. Owners and managers can track and manage every step of their business processes, schedule sales and installation teams, automate communications, increase conversions in the sales cycle, keep leads in the sale funnel until they buy, manage projects from contract to completion, improve the customer experience, and make better business decisions when it counts. Our enterprise system scales with your company as you grow and we offer customization and integration services. With Salesforce.com as our backbone, your data lives in secure servers and can be accessed at anytime, anywhere through an Internet connection. See how thousands of contractors, franchises, and manufactures are taking advantage of improveit 360 to sell more and grow their companies – schedule your own personal demo today! BHA and the International Concrete Repair Institute have developed a working partnership with an strong encouragement toward education and certification. ICRI offers several key concrete specific certifications and BHA members can get a reduced rate for training, certification and more. Contact the BHA office for more details.